Bring the sophistication of iconic workmanship through to unexpected essentials. 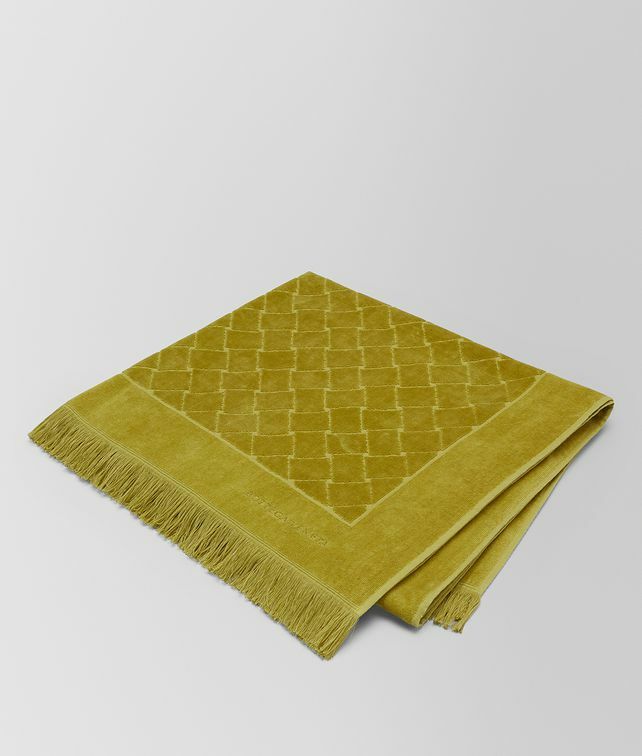 This oversized towel is rendered in soft cotton with the iconic intrecciato motif. It is finished with delicate eyelash fringe and subtly embroidered with the brand signature. Width: 150 cm | 59"
Height: 180 cm | 70"